I have been a regular attendee at the National Main Street Conference since 2011. Each year, I sit in a beautiful auditorium and hear the short, prestigious list of semi-finalists announced during the Great American Main Street Awards (GAMSA). In 2019, for my first time, I’ll have the distinct privilege of hearing a Washington community announced. The Ellensburg Downtown Association had been gearing up to apply for the GAMSA for the last couple of years. It’s a lengthy process and not for the faint of heart. Just to complete the application, a Main Street program must know who they are, articulate their value, and prove their excellence. So, you can imagine our pride and delight when the EDA was named one of the ten semifinalists for the 2019 awards! It’s commonly held that first-time semi-finalists rarely reach the final list of three award recipients, so the recent news that the EDA was not selected for a 2019 GAMSA was a disappointment, but hardly a set-back. 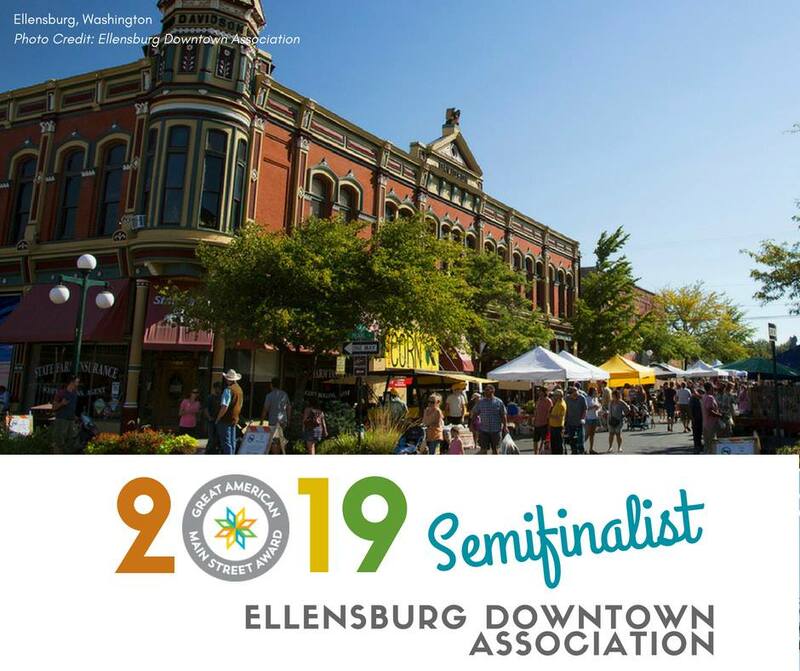 Those of you who have been part of the change that has occurred in downtown Ellensburg, particularly under Carolyn Honeycutt and Molly Jones’ leadership, know how deserving your community is of this award. You’ve seen the preservation successes, the bold moves, the emphasis on entrepreneurship, the partnership-building, and the wild fun that the EDA has fostered. I hope you’ll be there with me in the auditorium in Seattle this March to cheer on the EDA when they’re recognized as a semi-finalist in front of the entire national network! There have only been three GAMSA winners from Washington State in the 24-year history of the awards: Port Townsend Main Street Program (2000), Downtown Walla Walla Foundation (2001), and Wenatchee Downtown Association (2003). I’m confident that the EDA’s accomplishments, dedication to Main Street, and sheer tenacity will not only land them on the GAMSA finalist list soon, but also serve as inspiration for their peers in Washington State.